Happy New Year CCP Members! As we enter this New Year, CCP is gearing up to move to a new space. After many productive years on Main Street, CCP will be relocating its offices to the CT Nonprofit Center. We are excited to bring CCP into community with so many of CT’s nonprofits, including a number of our partners. Last year, we shared our strategic vision and building community is high on our list. Our new offices will increase our access to several new spaces to host meetings and programs for our members. It will deepen our connections and relationships with other nonprofits in the state, and we hope it will lead to some new and exciting collaborations. We look forward to joining the vibrant community at the Center and hope that you will visit our new offices at Charter Oak Avenue in Hartford. Please note that after February 4, mail should be sent to: 75 Charter Oak Avenue, Suite 1-205, Hartford, CT 06106. This year is CCP's 50th year working with the philanthropic community and we're excited to celebrate it with you. 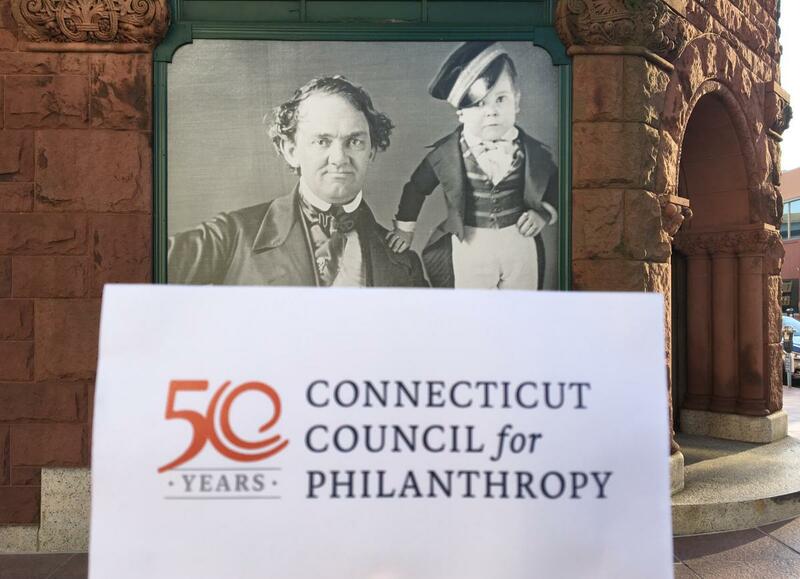 We plan to use this occasion to boost our ongoing efforts to showcase the outcomes of Connecticut philanthropy, to honor our founding members throughout our history, and to have some fun. Furthermore, we want to take this opportunity to reflect on not only where the organization has been, but where it is going. And we plan to engage you in conversations about what the years ahead should look like for CCP and the broader philanthropic community. Send your answer by January 25, 2019 to CCP50@CTphilanthropy.org. CCP is thrilled to present an exciting lineup of learning opportunities for our members in 2019! Throughout the year, we heard a clear call for relevant and inspirational learning programs as well as strategic networking meetings. In addition, from our 2018 membership survey, there was an overwhelming request for more programming on diversity, equity, and inclusion (DEI). Infact, members expressed an interest in equity programming more than any other program topic. In response to member requests and in an effort to continue to provide comprehensive leaning opportunities for our members, CCP has redesigned our 2019 program plan to include more networking, more programs tackling relevant and timely issues, and more equity programs. In addition to funder network meetings, we will be adding 2 statewide, issue-focused meetings, including the State Budget Impact Forum on March 7. We will once again offer the Philanthropy 101 series for new and emerging philanthropy professionals in the fall. We also plan to offer a day-long training on racial equity as well as a cohort-style DEI series. As CCP embarks on its 50th year, we are excited about the opportunity to continue to support member learning, build community, and work in partnership as we deepen our commitment to equity together. QUESTIONS? Contact Esther Massie, Program Coordinator, 860-525-5585. The CT Community Nonprofit Alliance (The Alliance) and the Connecticut Council for Philanthropy (CCP) are working together to better understand how the new tax law and state budget crisis are affecting nonprofits in Connecticut, what nonprofits and grantmakers are doing to address these challenges, and what more could be helpful to ensure the health of Connecticut’s nonprofit community. Building on our October 2017 Economic Impact Survey, we've sent a new survey to members and a companion survey for nonprofits which will be distributed statewide. Your grantees may participate as well. Contact us, if you have not received a survey link to distribute to your nonprofit network. With your input, we'll be able to continue our analysis of how nonprofits are managing current financial challenges. If your organization did not receive the email, contact Laurie Allen, 860-525-5585. Last December, federal lawmakers created the federal Opportunity Zones program for investors to reinvest their unrealized capital gains into Opportunity Funds - private investment vehicles dedicated to community, business, real estate, and economic development activities in select low-income communities. CERC, Pullman & Comley, and CRCOG invite you to learn more about the new federal Opportunity Zones program and how to grow business through long-term investments in low-income communities. This event will provide a comprehensive background and expert analysis of the new program, as well as recommendations for cities, philanthropies, advocates, and private sector representatives interested in Opportunity Fund creation, operation, and management and equitable development outcomes throughout our nation's 7,927 newly designated Opportunity Zones. The NBCUniversal Foundation, along with NBC and Telemundo Owned Television Stations, are hosting “Project Innovation,” a grant challenge program that will recognize nonprofit organizations that are tackling everyday problems through innovative solutions. This year, nearly $2.5M will be awarded nationally, with $225,000 granted among three to eight non-profit organizations in 11 regions, including Connecticut. The four funding categories are community engagement, culture of inclusion, next generation storytellers, and youth education. Now in its fourteenth year, the Yale Philanthropy Conference is the only convening of the nonprofit and philanthropic sector planned entirely by MBA students. Bringing together thinkers, students, and professionals from leading institutions and foundations across the country, the conference fosters discussions about the role of philanthropy in the contemporary society, strengthens professional networks, builds management acumen necessary for vibrant institutions, and cultivates leadership in the social sector and beyond. Speakers include Anne Marie Burgoyne, Managing director of social innovation for Emerson Collective, Sherry Salway-Black, chairperson of First People's Fund, and Laura McCargar, president of the Perrin Family Foundation. Connecticut United Ways and the Commission on Women, Children, and Seniors are co-sponsoring a "We Stand With ALICE" Legislative Forum on financial hardship. The discussion will focus on the challenges and immediate needs of ALICE families as well as long-term strategies and systems solutions that will help more working families achieve financial security. One major goal of Grantmakers United for Trans Communities (GUTC) is to develop trans leadership in philanthropy. The GUTC Leaders Fellowship provides ongoing support, peer networking, and leadership and professional development to a cohort of six trans, gender non-conforming, or non-binary professionals in philanthropy over a 12-month fellowship period, beginning in March, 2019. The Connecticut Council for Philanthropy has joined with the University of Connecticut Department of Public Policy and eleven other Connecticut public and nonprofit sector associations to sponsor the Public Service Executive Leadership Collaborative. As a partner organization, employees of the Connecticut Council for Philanthropy, its members, and their grantee agencies receive substantial discounts to attend workshops in a shared learning environment with public sector and nonprofit professionals. The all-day workshops take place from 9:00 AM - 4:00 PM at the University of Connecticut Hartford Campus. The Discount Foundation Legacy Award was launched in 2015 to commemorate and carry on the legacy of the Foundation’s decades long history of supporting leading edge organizing in the worker justice arena beyond its spend down as a foundation in 2014. Created in partnership with Jobs With Justice Education Fund and Neighborhood Funders Group’s Funders for a Just Economy, the Discount Legacy Award annually identifies, supports and celebrates an individual who has demonstrated outstanding leadership and contributes significantly to the workers’ rights movement. Awardees will receive a $20,000 stipend to provide them with the flexibility to expand on their professional activities and achievements in the absence of reporting requirements or other specific obligations. The Clarence B. Jones Impact Award honors the game-changing effect of smart, strategic communications. The award is given annually by The Communications Network to an individual, team, or group whose work best represents the extraordinary impact of the craft. Any social sector individual, team, or organization is eligible to win. Size and budget don't matter—They're looking for examples of strategic communications campaigns that were innovative and impactful, regardless of the resources available to them. Self-nominations are permitted. 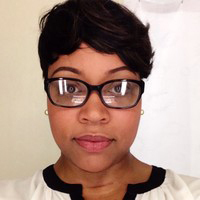 Exponent Philanthropy's Next Gen Fellows Program is a 6-month training fellowship for dynamic leaders roughly 18–35 years old who are involved in all types of foundations as current or soon-to-be trustees or staff. The program is designed for deep learning and peer networking to prepare the next generation for leadership roles. The William Caspar Graustein Memorial Fund joyfully celebrated their first 25 years in Connecticut with a year-long celebration which culminated in their STORYSCAPE installation. You may view the installation through January 31 at ConnCAT, 4 Science Park in New Haven. Components of the installation can also be viewed online: Community Speaks video | The Path In: Reflecting on the First 50 Years video | STORYSCAPE: Audio Stories Playlist | Opening poem, "When The Morning Comes" by Precious Musa. This past fall, the Emily Hall Tremaine Foundation hosted a curatorial symposium at the New Museum in New York to celebrate the 20th anniversary of the Emily Hall Tremaine Exhibition Award. The Exhibition Award was created in 1998 to honor the Tremaine Collection and the artistic vision of distinguished contemporary art collector, Emily Hall Tremaine. The event culminated the year-long celebration of the Exhibition Award that has been explored through commissioned articles in the fresh e-publication, Exhibitions on the Cusp. View the Symposium videos, including a welcome and history of the Foundations curatorial support from Board Chair Gean Tremaine and President Michelle Knapik. Making Meetings Work: How to Design Meetings to Energize Rather Than Bore: In this online training, Paul Schmitz, senior advisor to the Collective Impact Forum and CEO of Leading Inside Out, shares tools and strategies to help you design meetings that energize and reach your goals, rather than waste your time (and patience.) Read more recommendations in Paul Schmitz's blog post Making Meetings Work. View a recorded webinar of Grantmakers In the Arts' most popular webinar of the year, Real and Not Real: The History of Racialization in the United States. The webinar features Race Forward discussing the creation and perpetuation of the racial hierarchy, ideologies of whiteness, and how institutional strategies for diversity, inclusion, and equity often get conflated or confused. CECP's white paper, Diversity & Inclusion in Corporate Social Engagement, explores how companies are integrating diversity and inclusion (D&I) into their corporate citizenship and responsibility priorities. The paper lays out six key trends, which include case studies, latest knowledge, methods, and valuable insights. This report will aims to advance a company’s corporate citizenship efforts to include issues of diversity and inclusion. 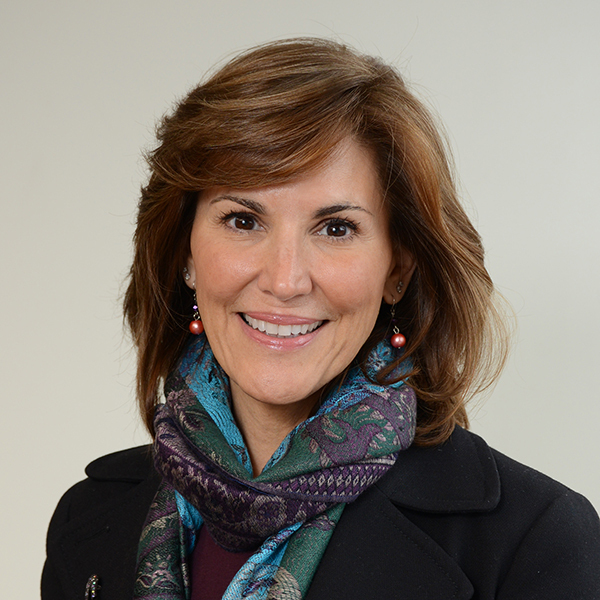 The National Organization of Italian American Women (NOIAW) selected Paula S. Gilberto, president and CEO of United Way of Central and Northeastern Connecticut, and Karen T. Galbo, executive director of People’s United Community Foundation as two of its 2019 Three Wise Women Honorees. Gilberto and Galbo were recognized for their professional accomplishments at NOIAW’s annual Three Wise Women Epiphany Celebration on January 13. For more than 30 years, the NOIAW has honored Italian American women for their leadership in the community.